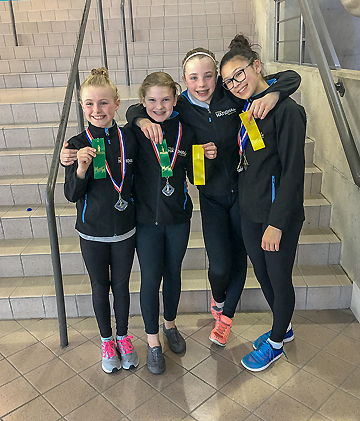 Our divers have just returned from the Kitchener/Waterloo Aspire Invitational last week with outstanding results and many new friendships. Led by Mary, ONDC’s provincial level coach, our four athletes went on to multiple podium finishes and new personal bests. on 1m, 6th place on 3m and 2nd place on tower! 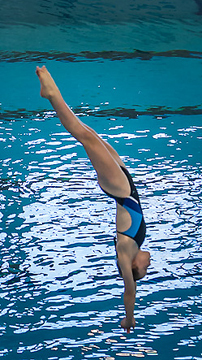 She nailed her final dive on the 5m earning her 7.5’s – 8.0’s to boost her right onto the podium! Our Girls C Aspire II category athlete is Caelly! the best of luck in Cuba! Our Girls B Aspire II athlete is Taylor! and coach Mary could not stop raving about how well she dove all weekend! Congratulations Taylor on your great weekend. Keep building your skills. Looking forward to putting up new personal bests at provincials in Windsor this May! Our Girls A Aspire II athlete is Maya! Maya earned a bit of a reputation last year for being one of the top athletes in her category and she did not fail to disappoint last weekend! She finished her weekend with 3 GOLD MEDALS! 1m she finished over 50 points ahead of 2nd place! We will continue building bigger and stronger dives to put up some crazy numbers at the end of the year in Windsor at Provincial Championships! Congratulations Maya on a great weekend! We are now preparing for what will be one of our greatest trips yet! We are bringing 6 athlete all the way to Cuba for the Copa Yumuri Invitational held on April 11-14. The kids are all set to go and really pumped to dive under the sun! Make sure to remember your sunblock and stay tuned for a double write up for the ONDC and two members who will be attending with Team Ontario.